Welcome to the gorgeous Kaanapali coast on West Maui, where the Aston Kaanapali Shores beachfront resort rests on 10 acres of white sand, tropical gardens, and flowing waterfalls. Our Kaanapali resort boasts the quintessential Hawaii experience. Unit 307 is an oceanfront 3rd floor, two-story, two-bedroom unit that sleeps four. One bedroom (king) and bathroom upstairs and one bedroom (queen) and bathroom downstairs with a fully-equipped kitchen. Note, there is no elevator. 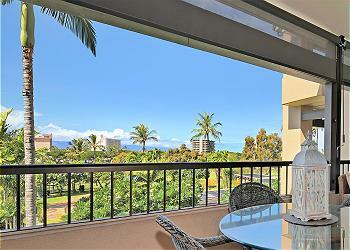 A luxury condo in the heart of the Kaanapali Beach Resort . This beautiful two bedroom two bathroom offers you all the conveniences of a home away from home. 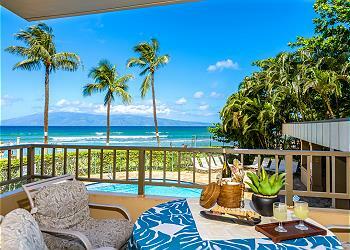 Lush, tropical landscaping makes Kaanapali Royal a beautiful retreat in paradise. 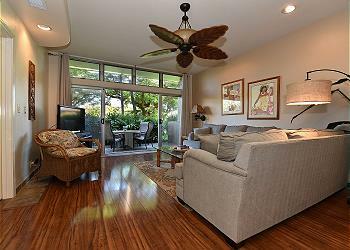 Wonderful 2 Bedroom, 2 Bath Corner unit With Ocean Views, At Kaanapali Royal On The Royal Golf Course Kaanapali Beach! 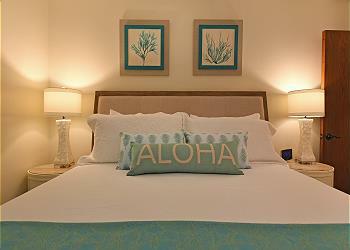 Come and enjoy the Kaanapali Royal Q101 2 bedroom, 2 bath condo! This this the perfect home for those who enjoy a pristine, calming, and stunning panoramic, unobstructed ocean views! You will also experience year-round sunsets between the islands of Lana’i and Molokai". This is a well appointed 2BD/2BTH A/C unit. Beautiful 7th floor 2br/2ba condominium at The Mahana at Kaanapali provides everything you need for your vacation in paradise. Equipped with granite counter tops, beautiful tile floors, central A/C, WiFi, stocked kitchen, and washer/dryer for your use. THE BIGGEST UNIT with THE BEST VIEW for THE BEST PRICE! Convenient location, close to everything except the crowds! 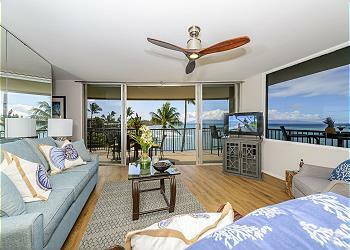 You can't get a better deal on the ocean in Maui than this spacious 2 bedroom condo. 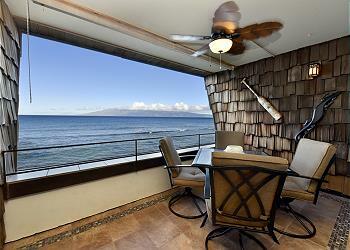 Whale watching from your oceanfront lanai! Spend your perfect beach vacation at this 2 bedroom, 2 bathroom, fourth floor unit. The entire unit is equipped with completely new furnishings and sleeps up to 6 people. BUDGET RENTAL PRICING! This unit has been significantly lowered in price as it is dated and is need of a remodel. This direct ocean front budget condo is JUST 50 feet from the ocean, with an unobstructed ocean view.